Like characters settings need depth to strike a cord with readers. So when creating a world with magical creatures its not just a matter of creating rules, its about creating emotions. It's about understanding how people would interact with the magical world. Folk tales have considered this in their story telling for thousands of years. After all folk religion is about building a relationship with the magical world, so this is often the best place to start understanding fantasy settings. When read together the folktales of any specific region create a mood, an attitude. elements and dangerous supernatural powers. As part of this they include a lot of tales about magical kitsune (foxes) and snow spirits seeking shelter from blizzards. A snow boy sneaks into home and eats a meal of miso and boar soup with a family, a snow woman begs a farmer for shelter as she travels. In the mountains surrounding one town dwells a hag like monster. In most Japanese tales the hag is a dangerous witch which invites lonely travelers to share a meal and than eats them. But here she seems to actually be kind, at least some of the time. There is also, however a sense of isolation created by dangerous denizens in the forest and harsh elements. Taken together these folktales paint the picture of a place where many of the spirits of nature and humans struggle together against more nefarious and dangerous supernatural forces. It paints the picture of warm family meals by fires and spirits whose spirits continue to try to help their families even after they've died. In Wales the relationship with magical beings is both similar and a bit different. Here people worry about fairies leading them astray, or snatching away children. Further fairies might seek food from people, or be convinced to marry them, yet the fairies don't seek shelter from humans in the same way so there isn't the same sense of fairies and humans struggling together against natural forces. Rather the relationship seems to be more of a give and take. Fairies will often give humans money or other gifts. They'll live in humans homes which they'll clean and keep safe in return for cream, etc. So by reading a series of fairy tales from a single region you can begin to form a clear picture of a fantasy setting. Folklore can have a huge impact on a culture, even more so in a fantasy world where actual encounters between the magical and human world can be common place. We knock on wood to call up the spirit dwelling inside it for luck, in Japan they say mushi mushi when they answer the phone because foxes can't pronounce that word and when phones were first introduced this was a concern. In ancient Russia people wouldn't pick up strange looking rocks for fear that they might contain evil spirits that would force them to become evil sorcerers. Consider than how magical creatures would change any culture. In Northern Italy for example there is a fairy like being known as the Anguana which loves to follow people and learn their secrets so that it can spread discord. Telling woman about husband who cheat on them, or even making up believable lies to cause arguments. How would worrying about such a being change what people did and how they reacted to potential lies? In many Celtic lands people would see the spirits of their loved ones walking with the fairy court. How would the knowledge that you might live with the fairies when you died change your outlook on life and your relationship with the natural world? In Japan for example the fact that so many kami were believed to have control over people's lives became the source for many of their innumerable festivals. The festivals in this case were originally designed to attract and build good relationship with the kami. The food we eat, the jobs we do, the types of friends we are likely to have have the biggest impact on our lives. This is where a setting truly comes to life. In other words small details matter. We can pick up a lot of these details from the locations where our folktales take place which we can than mix with the folktales to create new and interesting ideas. For example, the fact that a village at the foot of Snowdon has one of the biggest and busiest Mountain Rescue teams in the UK can be mixed with the fact that Snowdon was in folklore home to a giant and that many people are led astray by fairies who seek to get them lost. In a fantasy world this could mean that there is a team that seeks out travelers lead astray by fairies or which has to sneak into the giants home to free those taken by him. In Russia it was the Rusalka, dangerous but also helpful nature spirits which taught people how to care for bees and find honey. This means that one of the most prized foods was under the control of a fairy that seems to have a bit of a duel personality. Harry Potters favorite dish - Steak and Kidney Pie. You can tell a lot about a place from it's food. which loom over Itoegawa and the sea it is built on. In Itoigawa Japan during long cold winters nights fishermen and their families would eat Monk Fish hot pot to keep warm. It is much more than just away to stay alive. Every taste, every smell has many emotional and cultural associations. Every food represents more than just the place it's from., it represents relationships with the world. Afternoon tea in England was the result of relationships with Asia, the Middle East, Africa. It happened because England began to grow as a world power and so it represented that in many ways. America is filled with multicultural foods, though these are often derided as being the destruction of a culture. What ever position you want to take on this you still have to be amazed that a Pizza place can be wedged between an Americanized Mexican Restaurant and an Americanized Chinese Restaurant, with a hot dog stand out front. The biggest problems in folktales are often, how do I get something to eat? The greatest evil of dragons, evil sorcerers, vampires, etc. was often the fact that they stole or spoiled food. Of course it's not just food which matters, clothes, simple customs such as bowing and shaking hand can create an attitude and help you form the moments which endear people to your own tales. I will be doing write ups on a few specific settings. Please tell me your thoughts. 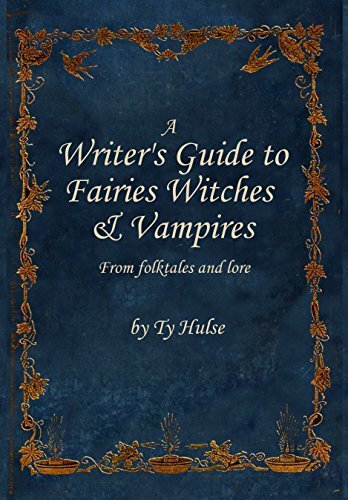 Raven's Shire is dedicated to helping writers and artists learn about the strange world of fairy tales, so if you have any questions or need any help understanding the fairy realm, please contact us.